Bottled from the heart of the city, Sydney Brewery is dedicated to creating the best craft beers in Australia. Brewed lovingly by hand in small batches, each variant is designed to epitomise the local style, personality and people of the suburbs that make this city great. What is it? : Fermented with Sydney Cider, organic agave and ginger, this ground breaking Cider is naturally sweet but at the same time raw, wild and spicy. I can’t decide if this cider is good or bad. My initial reaction was disgust but after the second sip it wasn’t too bad. The label describes it as “not your typical senorita” and I guess that’s true. It doesn’t taste like a cider nor does it taste like a ginger beer. Instead it tastes like someone mixed the two together, a sweet taste followed immediately by a strong hit of ginger, and my overwhelming reaction was confusion. Eventually the ginger becomes overpowering and you lose all the sweetness of the cider so I can’t understand why someone would choose this cider over a ginger beer. I won’t lie: I have had a fair few problems with many (read: most) of the beers I’ve tried from Sydney Brewing Co. It just isn’t my type of beer. 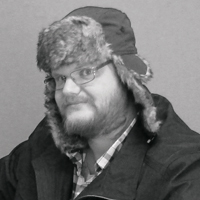 So it’s understandable that I went into this ginger cider review with great apprehension. The result? Yeah… it’s alright. I prefer Lick Pier, but this isn’t too shabby. It would be difficult to drink en masse as it would become too sickly sweet, but for a drink towards the end of the night it would more than amply suffice. Think of this cider in the same way as Leonardo Di Caprio - relatively inoffensive but it very quickly becomes too much. Would I buy it again? Maybe. 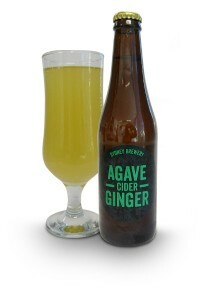 Now this review might be a bit biased because I have such a massive sweet tooth, but this Agave Ginger Cider was superb. Very similar to ginger beer but with a heightened level of crispness, this drink hit the spot like no other. It had a good level of sweetness and the ginger wasn’t overpowering which made it refreshing – perfect for any day of the week!